Statistics show that sexual harassment in the workplace is an unfortunate reality. Surveys conducted over the years have suggested that approximately 25 percent of women have experienced some sort of sexual harassment in the workplace. According to more recent polls, those numbers are increasing. In fact, just several weeks ago, the Equal Employment Opportunity Commission released figures showing that claims of sexual harassment have increased dramatically in the past year. This may be due to the national conversation on sexual harassment by prominent people. Since the Harvey Weinstein allegations broke, a steady stream of sexual harassment victims have decided to tell their own stories. The list of alleged harassers has included well-known names from Hollywood, politics, and large companies; even the Supreme Court confirmation hearings of Brett Kavanaugh became part of the national conversation on the issue. All of this means that dealerships need to be vigilant and ready to act upon any complaint of sexual harassment. This article provides you with a roadmap to steer clear of sexual harassment at your dealership. Generally, sexual harassment occurs in two forms—hostile environment or quid pro quo harassment. Hostile environment harassment includes offensive behavior, such as unwelcome sexual advances, inappropriate commentary, and other verbal or physical conduct of a sexual nature. Quid pro quo is a Latin phrase that means “this for that.” Thus, quid pro quo harassment occurs when a person in a position of authority seeks sexual favors from an employee either by promising the favor will be returned with some type of job benefit (such as a promotion or a raise) or by threatening adverse action (such as a bad performance review or a reduced schedule) if the employee declines. Dealerships must have a strong and effective anti-harassment policy in the employee handbook that is communicated to all employees. There are a number of substantive points that any policy should include. First, employees should know and understand that your dealership has zero tolerance for harassment. This is the first means of communicating to your workforce that no one is required to tolerate any amount of offensive, boorish sexual comments or behavior. Second, your policy should provide some description of what constitutes prohibited harassment, including several examples to illustrate what would be considered violations of the policy. Third, the policy should make it clear that all harassing behavior must be reported immediately, regardless of whether someone is the victim of or a witness to the harassment. Fourth, employees should understand that they have several avenues for submitting complaints. Because an employee’s immediate supervisor might be the person engaging in the inappropriate conduct, policies should never simply instruct employees to report harassment to their immediate supervisor. Alternative reporting mechanisms are critical. Thus, you should evaluate what other members of your management team would be appropriate resources. Many dealerships choose to identify a Human Resources manager, the General Manager, or the owner as alternate options. Finally, policies should explicitly inform employees that they will not be retaliated against for coming forward to report harassment. Study after study shows that many sexual harassment victims cite fear of retaliation as the number one reason why they failed to bring a complaint forward. If you truly wish to create an environment that is free from unlawful harassment, this step is crucial. But having a sound policy in place is not enough. You must have your workforce acknowledge receipt of the policy and they, the employees, agree to abide by the policy. Further, you must give thoughtful consideration to effective ways of communicating the message that harassment is not tolerated. For example, dealerships can use the policy as a point of emphasis in any new hire orientation, post it in open and obvious locations (such as a break room), and redistribute it annually to all employees. Your dealership’s management team is a critical component in preventing sexual harassment. First and foremost, your managers should not engage in sexual misconduct or inappropriate behavior. While one might think that managers implicitly know and understand that expectation, it should not be assumed. Thus, you should communicate explicitly and frequently that your zero-tolerance policy applies directly to their behavior. Additionally, you should provide training to your managers so they can not only spot possible instances of harassment more effectively, but also so they know how to appropriately handle an issue when it arises. In many ways, managers serve as the dealership’s eyes and ears. Therefore, they must be diligent to pick up on and react to even the smallest clues that unlawful harassment may be occurring. There is no one-size-fits-all approach concerning how complaints of harassment should be investigated. Instead, the allegations and specific facts of each situation will dictate what to do and how to do it. Despite the fact-specific nature of these issues, there are some common points to consider when a potential harassment situation comes to your attention. Most importantly, whoever manages or investigates these complaints should take every complaint concerning sexual harassment seriously. This means that, at least most of the time, this member of management investigates the allegations (including speaking to the accused, accuser and any witnesses, and obtaining any relevant documentation) and documents their findings. It may also be prudent to obtain signed and dated written statements from those involved in the investigative process. While the search for truth should be a goal, it is not always an achievable one. Even with a thorough investigation, it may be impossible to determine whose version of events is the most accurate. While the investigation is underway, it can be difficult if the employee making the complaint is forced to work side-by-side with the alleged harasser. When reasonably possible (and even when it might create some inconvenience), it is much better to ensure that the alleged harasser is either placed on suspension or placed in another work area pending the conclusion of the investigation. After completing the investigation, you have to determine a course of action and then see it through. If a violation of your policy has occurred, take immediate and appropriate corrective action. Depending on the severity of the allegations, that might mean immediate termination. Make sure you document whatever course of action you decide, and follow up with the employee who made the complaint. If the alleged harasser is not terminated, you must be on guard for any signs of retaliation down the road. The employee who complained should be informed that you will not tolerate any retaliation, and you should follow up with that person a few times to make sure that there has been no retaliatory behavior. What About Complaints Of “Old” Misbehavior? Many of the reports of misconduct that are in the news are “old” allegations in that they sometimes occurred many years prior to the time when a victim is coming forward. As a result, you should not be surprised if you encounter something along those lines. If you find yourself having to look into old behavior of one of your employees, do not ignore the complaint simply because it seems untimely. Instead, let the circumstances of the complaint dictate your course of action, just as with any complaint. In closing, remember that harassment issues are not limited to sexual harassment. Your dealership must be equally prepared to address harassment based on other protected categories like race, national origin, ethnicity, age, and religion, just to name a few. 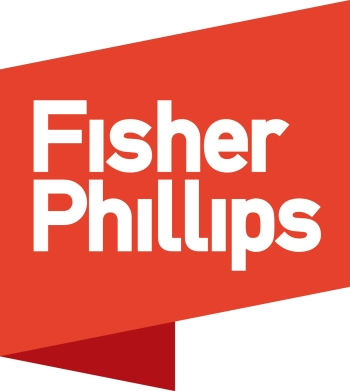 Harassment claims can be difficult waters to navigate; if you have any questions, it is always worthwhile to seek legal advice from a Fisher Phillips attorney.